Recognize's unique strategy is focused on well-designed user experiences that are integrated into staff's workflow, while measuring results along the way. Employee appreciation stats show the current user no matter where they are in the ranking. All the stats update in real-time. Each month, quarter, and year top staff and groups are celebrated for their accomplishments. We give the reporting to discover your staff and provide thought leadership on how to thank them. It is no secret Recognize has the best integration into Office 365, Yammer, Outlook, Workplace by Facebook, Slack, and more. 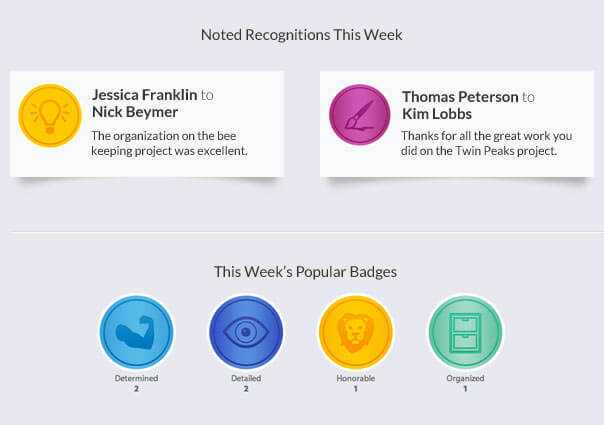 That's why users in Yammer send 8x more recognition via Recognize. Choose from different kiosk modes for employee appreciation display. Set up on a mounted television in the lobby or the breakroom. The kiosk mode increases discussion of recognitions in real-life; in turn, helping staff stay focused on company values. Recognize can send daily, weekly, and monthly email updates. 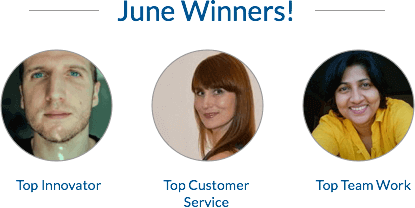 The emails include top employee recognitions, achievements, leaderboards, and top badges for the email time period.